I can literally swear by this product ! It’s a God-send and a ‘must have’ in your haircare arsenal especially if you just dyed your hair light or have frizzy / curly hair. Coat your hair with olaplex (No 3) in between washes and leave it on anywhere between 15 minutes to overnight. Ofcourse, longer the better; and follow up with a shampoo and conditioner which is specifically formulated for light hair. I’m currently alternating between Blonde idol by Redken and Joico Kpak color therapy and they’re both terrific. 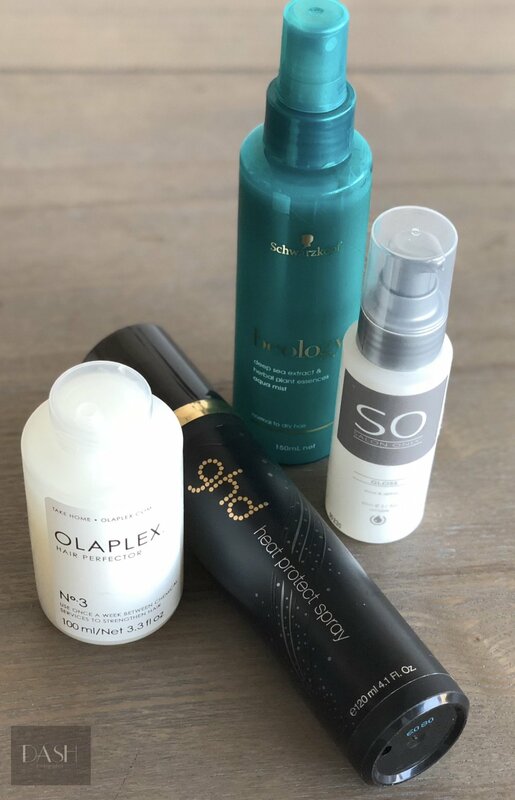 Just a little insider information: since I don’t like to sleep with any extra product in my hair, I usually put it in the morning of the day the hair needs a wash and then style my hair in an updo or some braids depending on the mood :) and wash it off in the evening (Look here for some hairstyling inspiration). This is a highly recommended product and please remember this is not a conditioning treatment but a bonding treatment as it helps in harmonizing the pH levels in your hair thereby strengthening the hair strands, preventing breakage and giving that brilliant shine so you're able to don that gorgeous haircolor longer! Since one does often like to treat their hair to 200 degrees of heat, its always a good idea to cover your hair with a heat protection spray. So, don’t be stingy on that one and coat each strand with the spray before any heat styling- be it a blow wave, hair-curling or straightening. Reduce the number of hair washes per week and try using a dry shampoo instead. You will notice your hair not losing its shine too quickly and your hair color will last way longer sans the brassiness. Yes! It does exist and don’t underestimate this baby. It can do wonders by not letting your hair color fade in the sun and will defend it from the harmful UV rays.